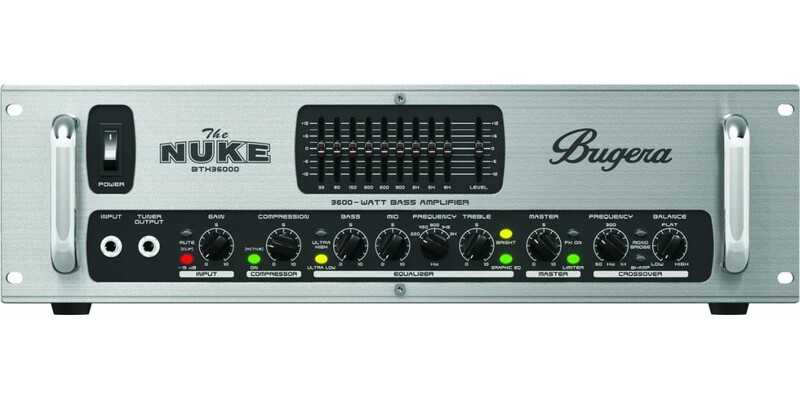 The Nuke is finally here. 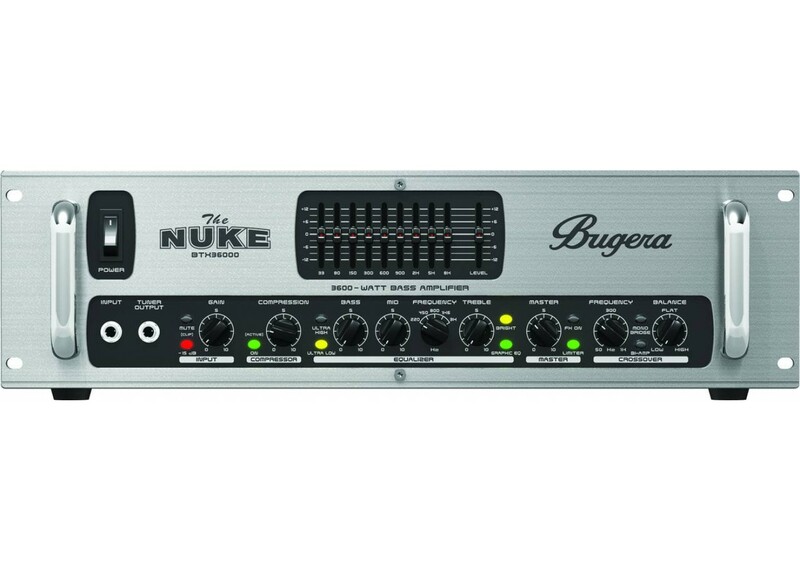 For those of us who have been waiting patiently for years on The Nuke to arrive in some form or another, this is a time of relief and excitement! 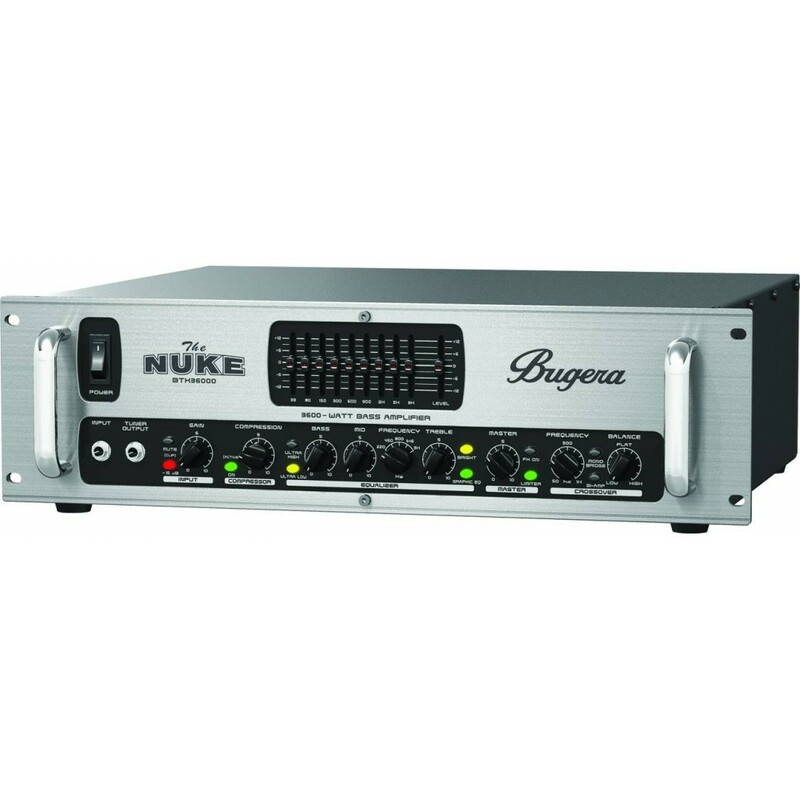 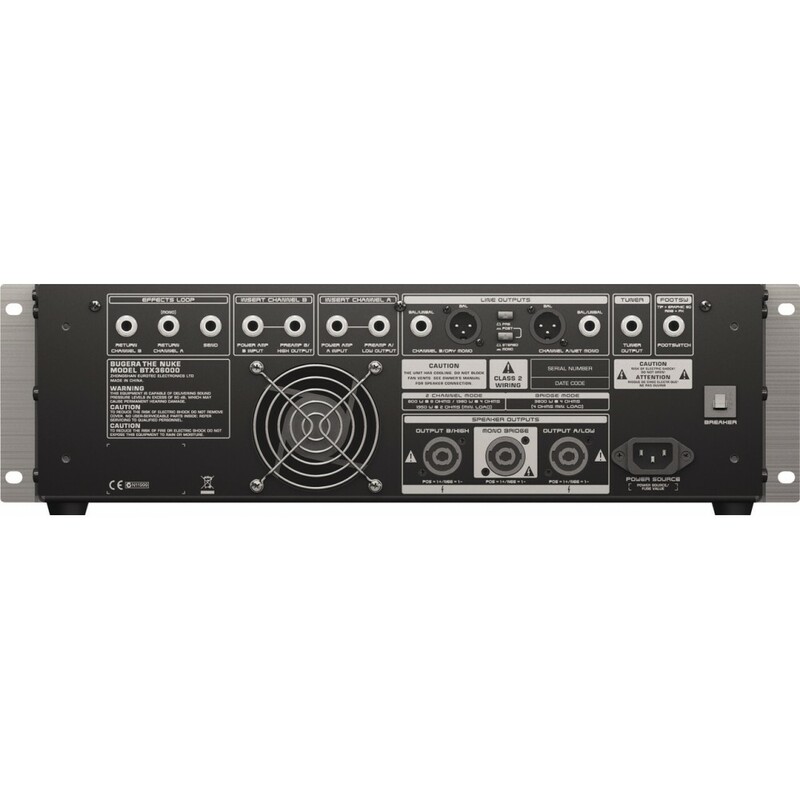 Touted as one of the most powerful bass amplifiers on the planet, the Bugera BTX36000 or "The Nuke" packs a boomin' 1800 watts per side or 3600 watts in bridged mode. 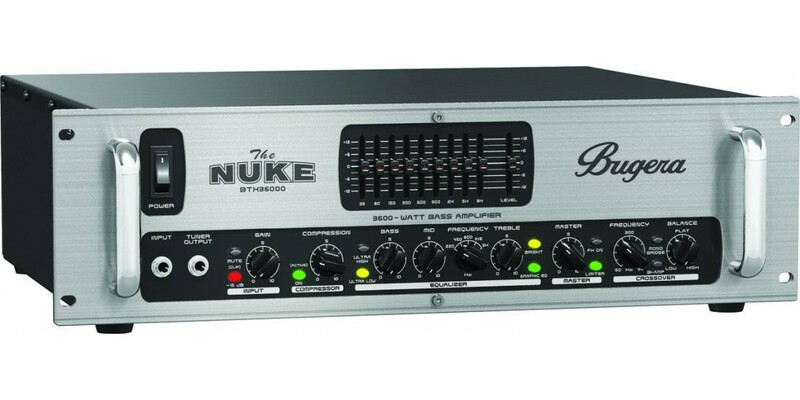 Not only does The Nuke pack a punch, it's PACKED with features! 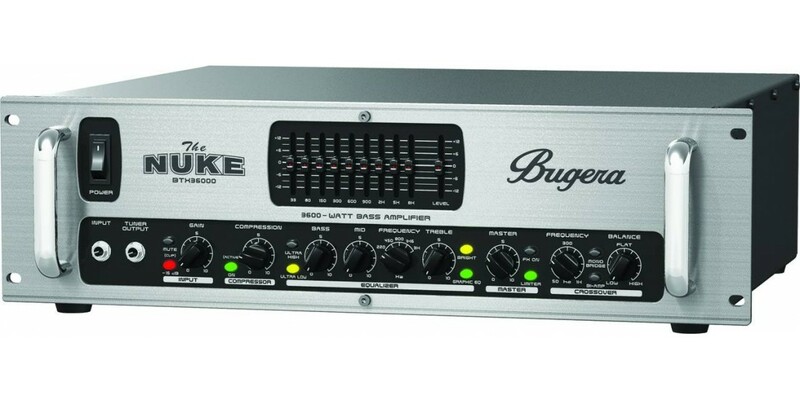 Check it out: Active 9 band EQ for precise tone-shaping with extra switchable EQ options, balanced DI outputs to run straight to a mixing console so you can leave your 8X10 AT HOME, stereo effects loop and the list goes on. 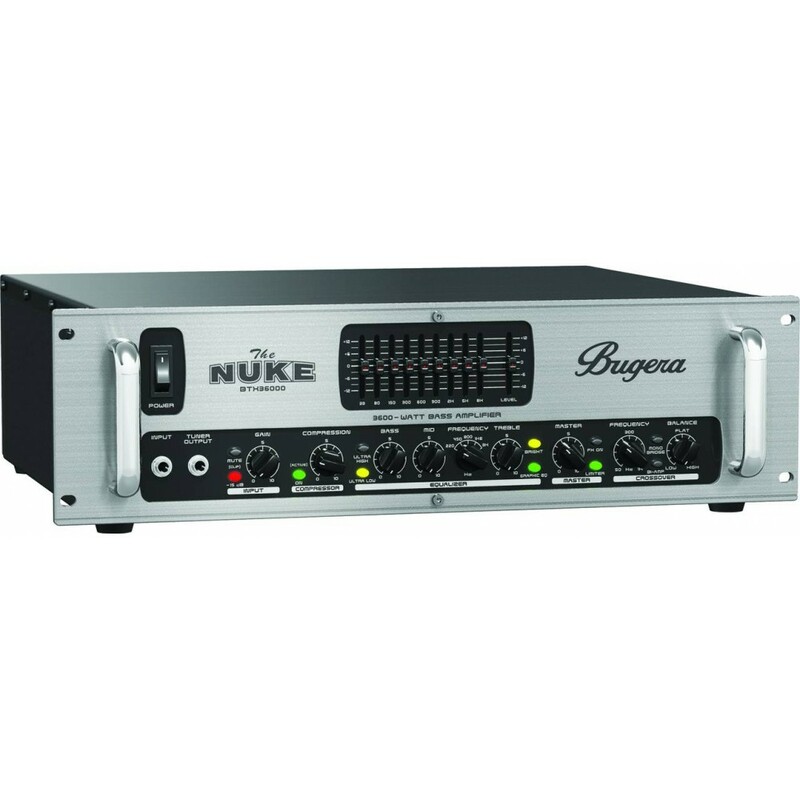 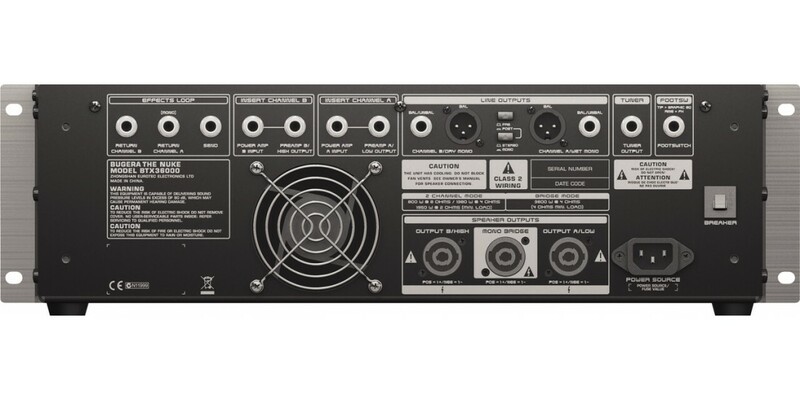 The Nuke also comes with a two-button footswitch for on-the-spot control over the active EQ and the effects loop.